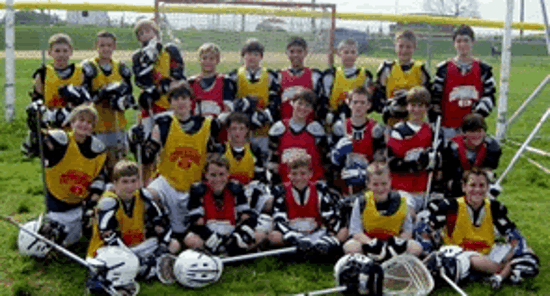 The StickWithUs Organization established the very first travel team in the state of North Carolina in 2003 when the Charlotte Copperheads headed up to Annapolis, MD to play in the Father’s Day Invitational. The Copperheads we are a mixture of 4th, 5th & 6th graders who competed in a very competitive U-13 bracket, going 0-5 on the weekend, but returning to Charlotte with a renewed sense of confidence and determination to compete at the highest level. Many of the "original Copperheads" went on to play college lacrosse. From there StickWithUs established the South Charlotte Cyclones at the youth level, Team Charlotte, the Carolina COLTS, and Team Carolina Elite at the high school level that competed from 2004 through 2016. In 2016 all of our summer travel teams were consolidated under the Team Carolina brand to reflect our growing community that includes players from around the state of North Carolina as well as many athletes from South Carolina. With the help of the many of the top coaches in the area, committed families, and dedicated players, StickWithUs.org has built Team Carolina into one of the most respected travel teams in the Country. In 2018 The StickWithUs Organization partnered with Team 24/7 Lacrosse to form a high school alliance, CAROLINA 24/7 that guarantees the top players in the area to chance to compete versus the top competition in the Country. In addition to our partnership at CAROLINA 24/7, to date we run Team Carolina High School Regional teams, as well as Team Carolina youth travel teams from 3rdthrough 8thgrade. Info on our current Team Carolina offerings can be found online HERE. © 2019 StickWithUs / Oasys Sports. All rights reserved.